GSET 2018: The candidates should note that the answer key has been released for the SET Examination that was held on September 30, 2018. 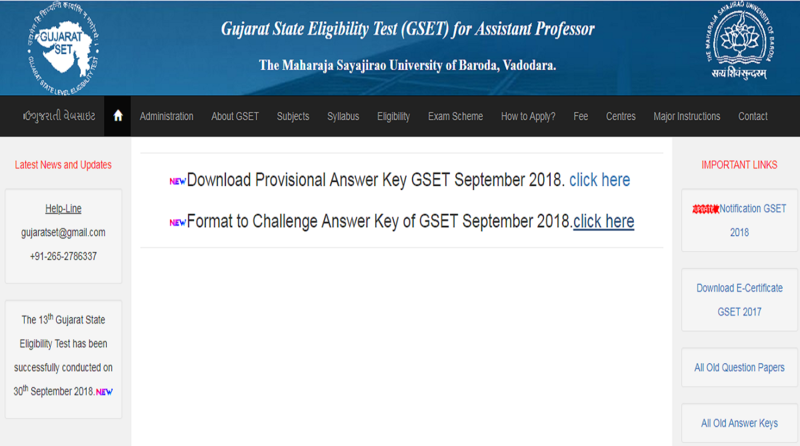 GSET 2018: Answer keys for the Gujarat State Eligibility Test have been released by The Maharaja Sayajirao University of Baroda, Vadodara. The candidates should note that the answer key has been released for the SET Examination that was held on September 30, 2018. The candidates who want to challenge the answer key can do so by clicking here. • After that, log in with your registration details. Note: The candidates should follow the format given on the official website to raise the objections on the answer key of GSET 2018. 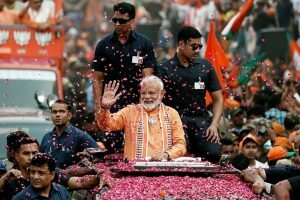 The Member Secretary, Gujarat State Eligibility Test, The Maharaja Sayajirao University of Baroda, B – Block, Chameli Baug, Nr. University Guest House, Prof. C. C. Mehta Road, Vadodara – 390 002. Important information: The candidates are required to support their stand with standard books and a Demand Draft of Rs 1000 in favor of- Member Secretary, GSET, payable at Vadodara before October 20, 2018. If the Objection is accepted by the university, the money will be refunded.